Move over, Derek Zoolander! There’s a new heartthrob in town. Ben Stiller took to Instagram on Wednesday to reveal the most recent “ridiculously good looking” addition to the cast of the “Zoolander” sequel, which is slated to hit theaters Feb. 12, 2016. “#Zoolander2 @justinbieber,” the caption read, along with a black-and-white image of Stiller’s beloved character Derek having a "Blue Steel" face off with Bieber. But our eyes quickly drifted from the "Baby" singer's “Zoolander” impression (which was pretty good by the way) to his brown, spiky tresses. Did Bieber ditch his blonde locks for a darker look? “"#itsawignotmynewhair,” the 21-year-old singer confirmed via a hashtag on his social media page. 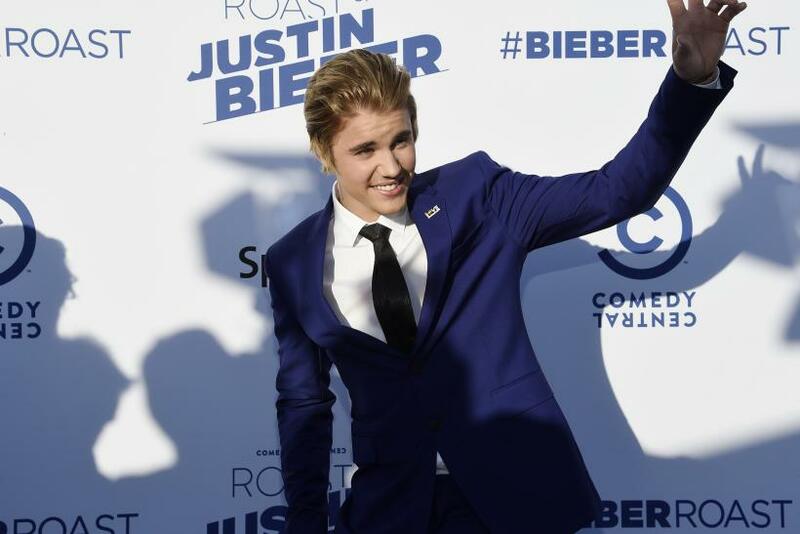 Prior to the confirmation that Bieber would be strutting his stuff down the runway in “Zoolander 2,” the teen sensation teased his participation in the forthcoming comedy on Facebook. “Working on something big right now in Europe. To learn more follow me on Fahlo. He is so hot right now,” he wrote Monday. We’re not entirely surprised that the pop singer was cast in beloved film that first premiered in 2001. Just recently Bieber proved he had the comedy chops when he starred in Comedy Central’s the “Roast of Justine Bieber.” The singer, who claimed he wanted to change his ruffian image, took insults left and right from stars like Kevin Hart, Ludacris and even Martha Stewart. The sandy blonde haired singer also proved he had the guts to become a model -- an underwear model, when he was chosen as the new face of Calvin Klein in January. The Canadian born artist slipped into his snug tighty whities and confidently struck a pose to promote the iconic undies in a steamy campaign ad. Looks like Derek Zoolander will definitely have some competition in 2016. Are you excited to see Justin Bieber in “Zoolander 2”? Sound off in the comments section below with your thoughts on the “Boyfriend” singer starring alongside Ben Stiller, Owen Wilson, Will Ferrell and the rest of the gang.